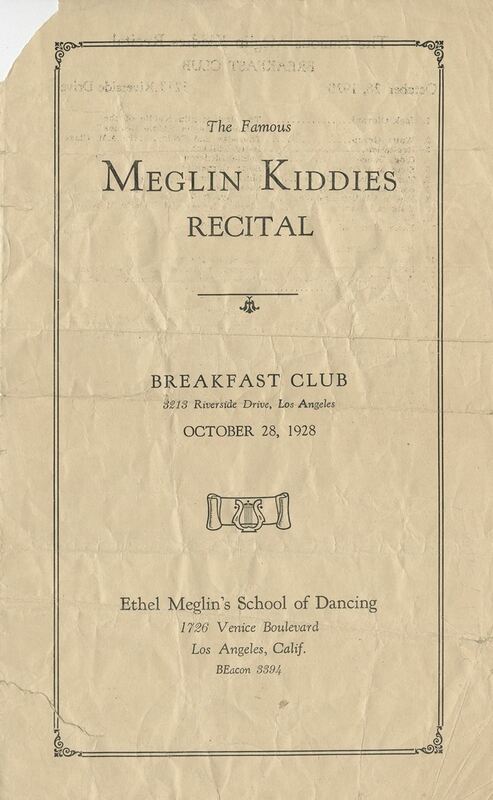 October 28, 1928: “The Famous Meglin Kiddies Recital” took place at The Breakfast Club in Los Angeles, California. 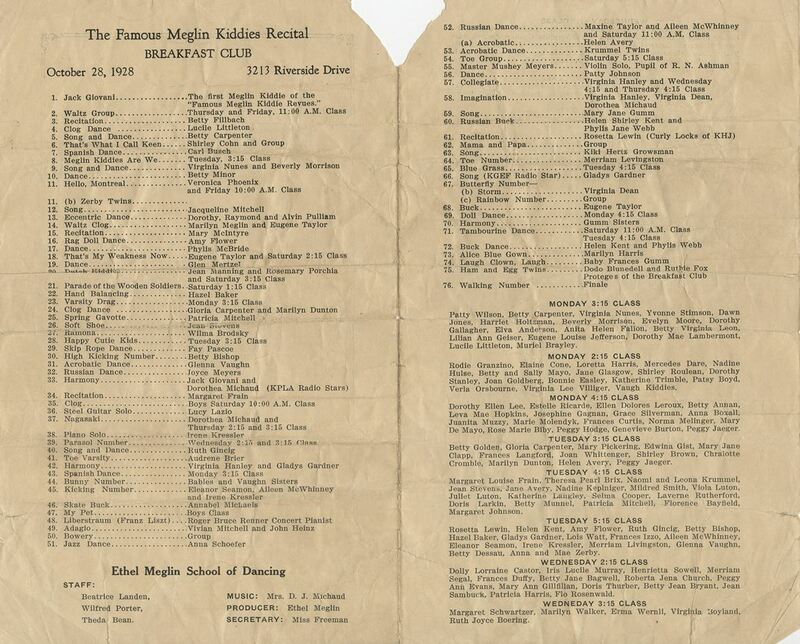 The program featured 76 numbers! 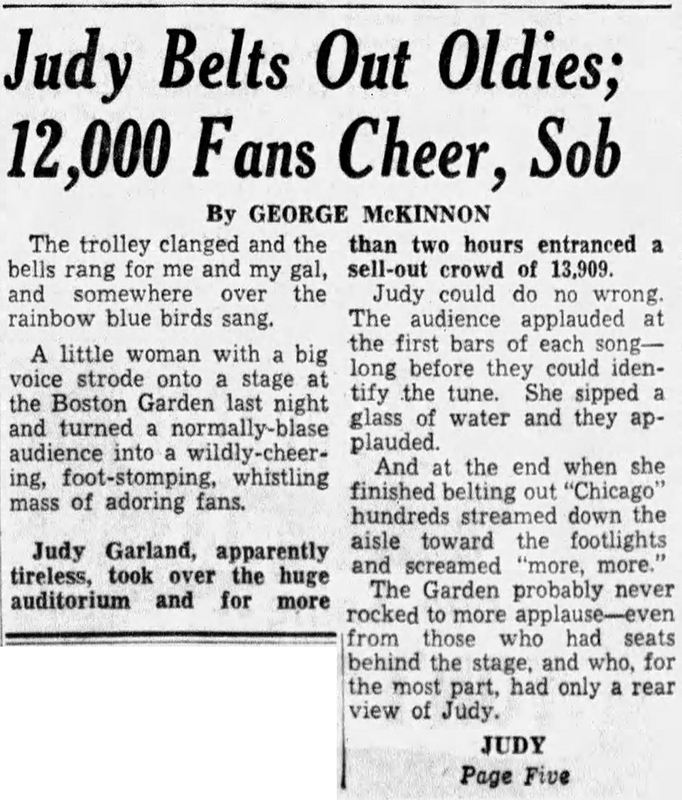 Judy and her sisters had a few numbers towards the end of the show. 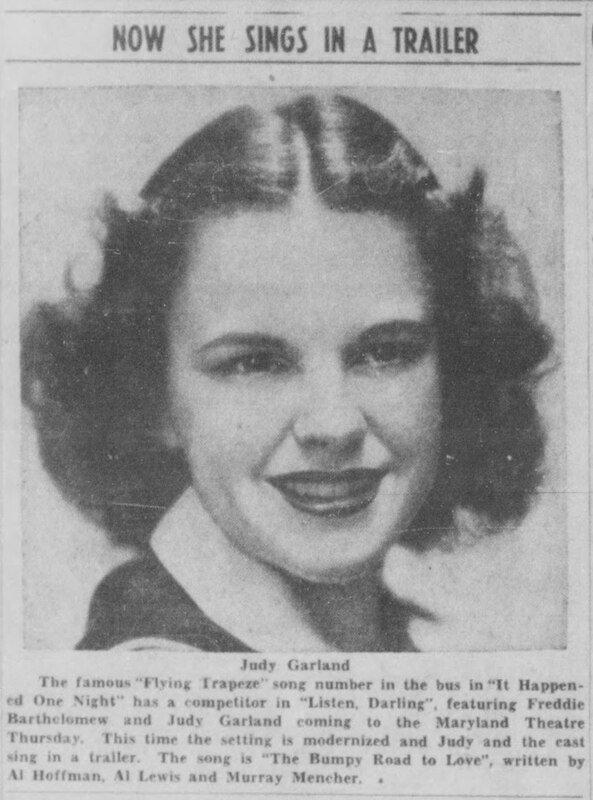 Mary Jane Gumm (Judy’s sisters) performed “Song” (apparently it was unknown what song she would sing when the above program was printed); “The Gumm Sisters” performed “Harmony” (again, exactly what is unknown), and “Baby Frances Gumm” (Judy) performed “Laugh Clown, Laugh” as song #74, just two songs before the end “Finale” (of which the sister most likely took part). 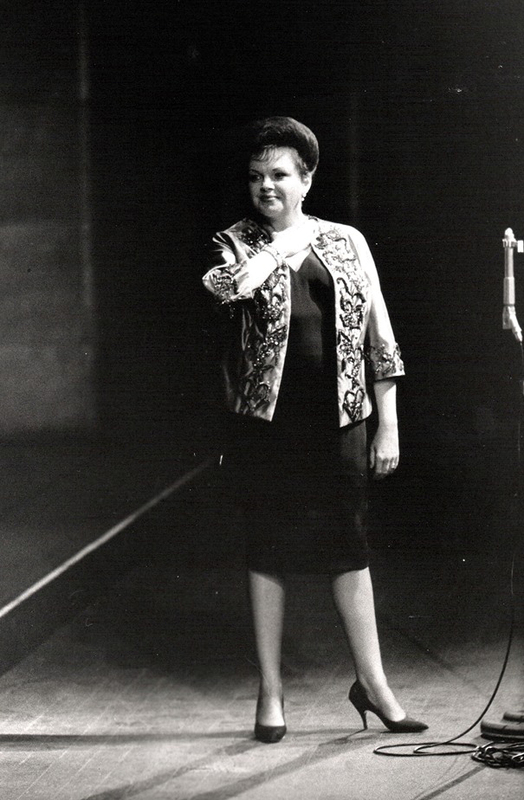 Judy’s placement towards the end of the program is an indication that her talents were already sufficient enough to give her one of the best spots in the show. 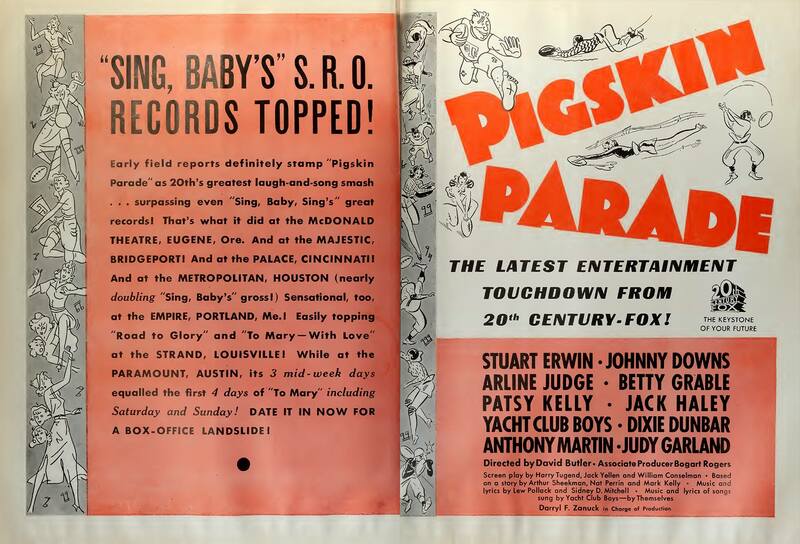 October 28, 1936: This two-page spread appeared in various trade publications around the country promoting Judy’s very first full-length feature film, Pigskin Parade. 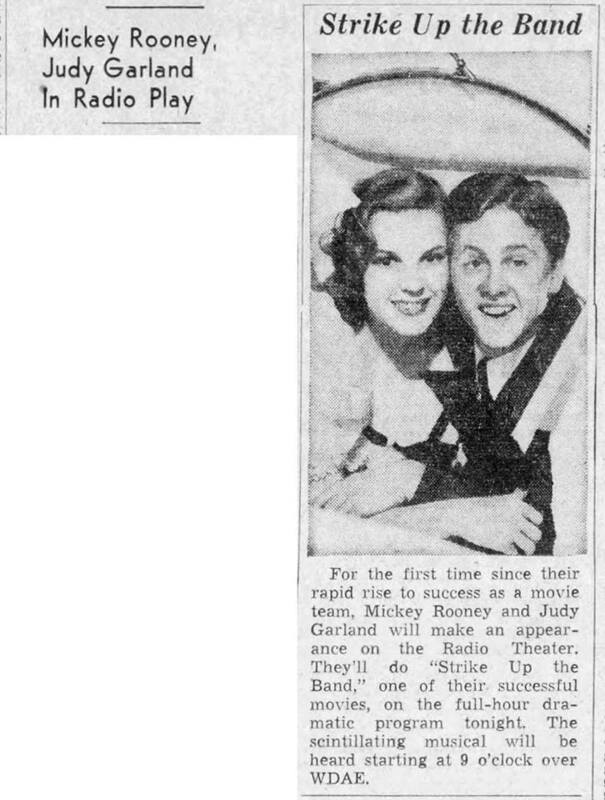 October 28, 1940: Judy and co-star Mickey Rooney starred in the “Lux Radio Theater” adaptation of Strike Up The Band for CBS Radio. The duo recreated their roles in the film which was currently playing in theaters around the nation. 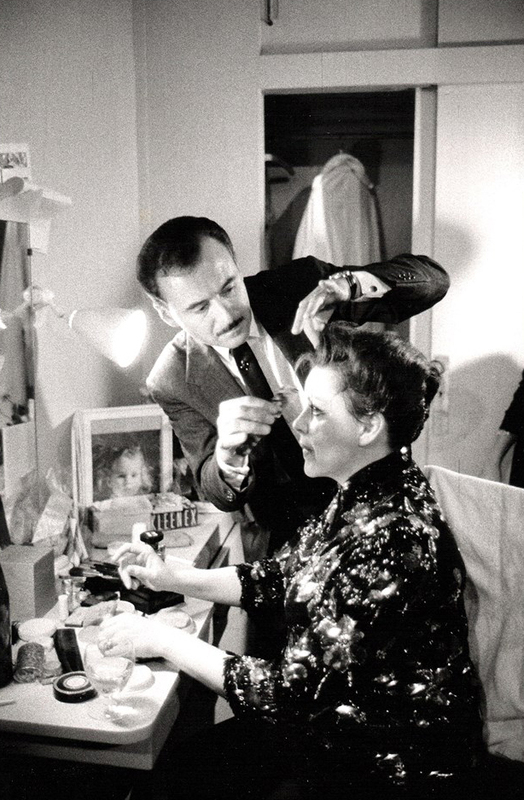 It was the second of four “Let’s Put On A Show” musicals starring the duo, all of which were big hits. 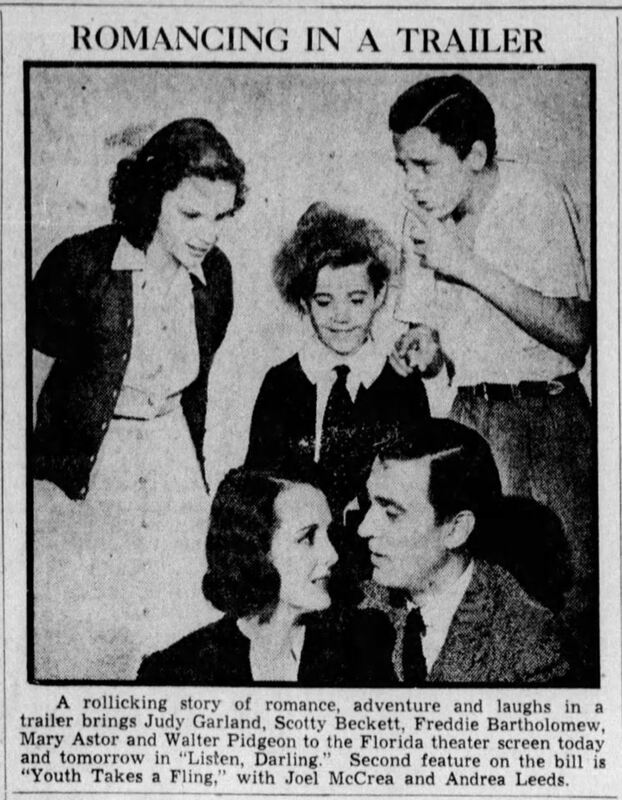 October 28, 1944: Filming on The Clock continued with scenes shot on the “Interior Hotel Suite” and “Interior Taxi Cab” sets. 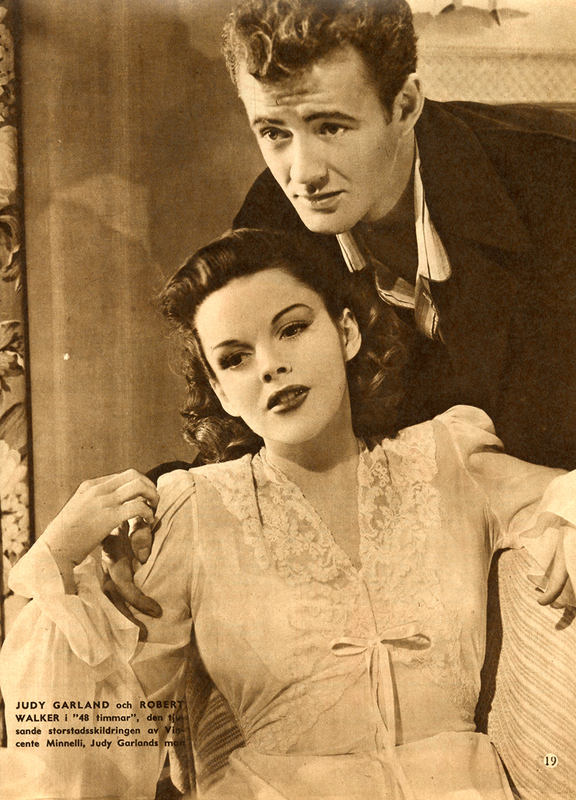 Time called: 10 a.m.; dismissed: 6:00 p.m.
Photo: October 28, 1945, “Filmagen” magazine page featuring a photo shot during the film of the “Interior Hotel Suite” scenes. San provided by Kim Lundgreen. Thanks, Kim! 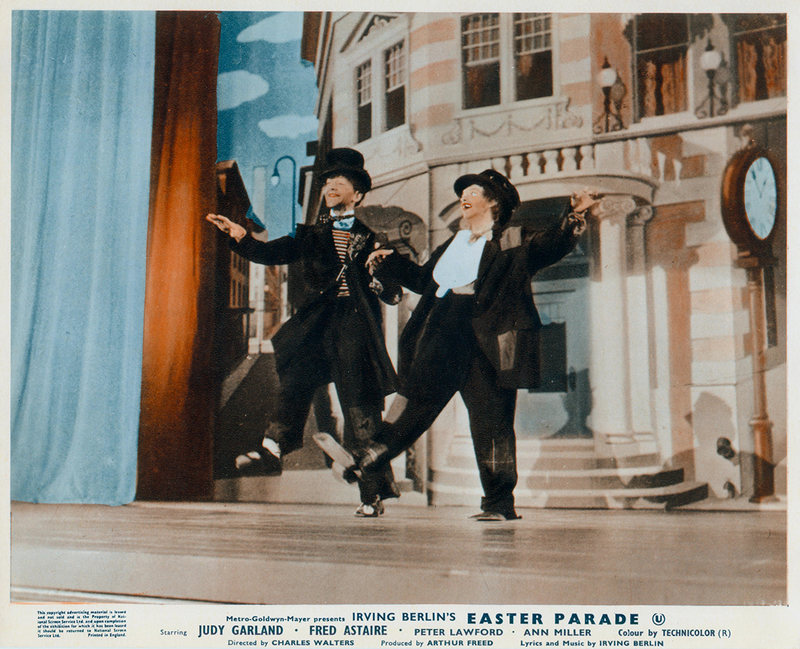 October 28, 1947: Judy and Fred Astaire had music rehearsals of “A Couple of Swells” for Easter Parade. 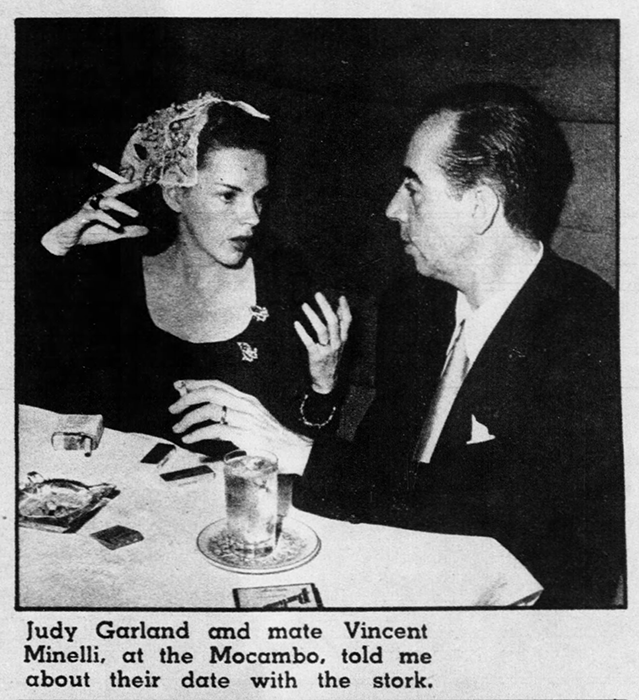 Time called: 1:30 p.m.; Judy arrived at 1:45 p.m.; dismissed at 3:50 p.m.
UK lobby card provided by Kim Lundgreen. Thanks, Kim! 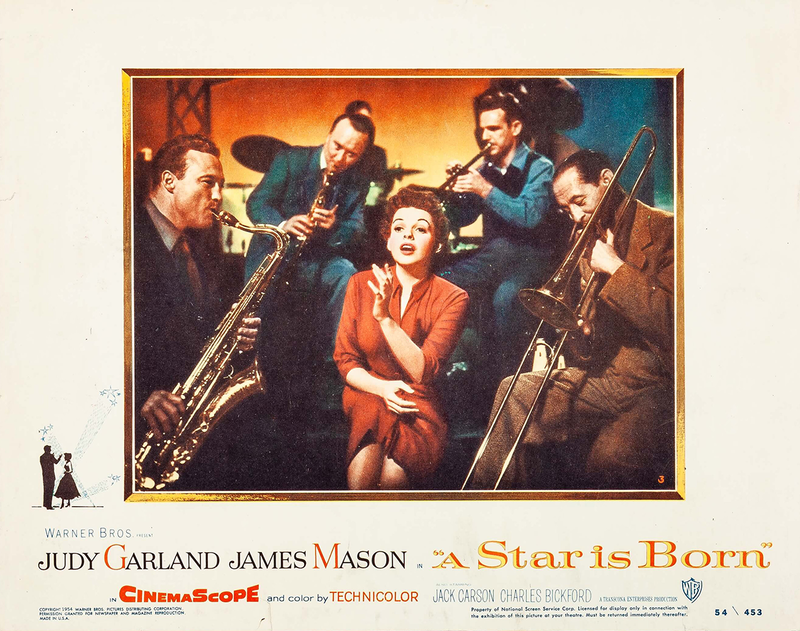 October 28, 1953: The second of three days of reshooting “The Man That Got Away” number for A Star Is Born. 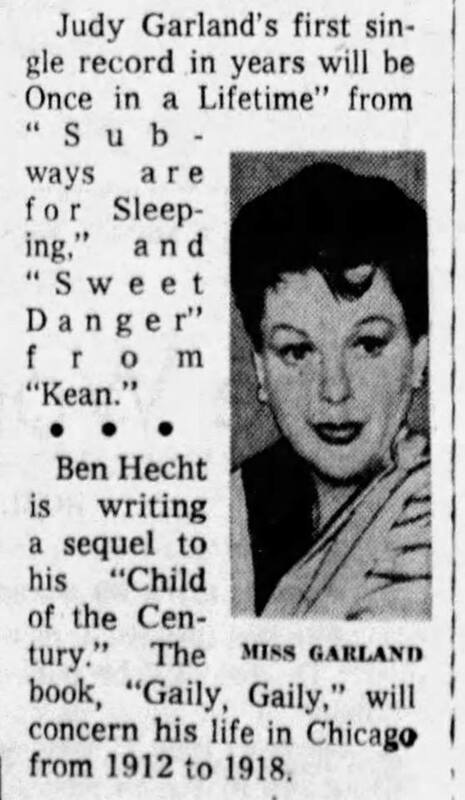 A total of 27 takes were filmed over the three days. Each time the number was filmed in one long continuous take. 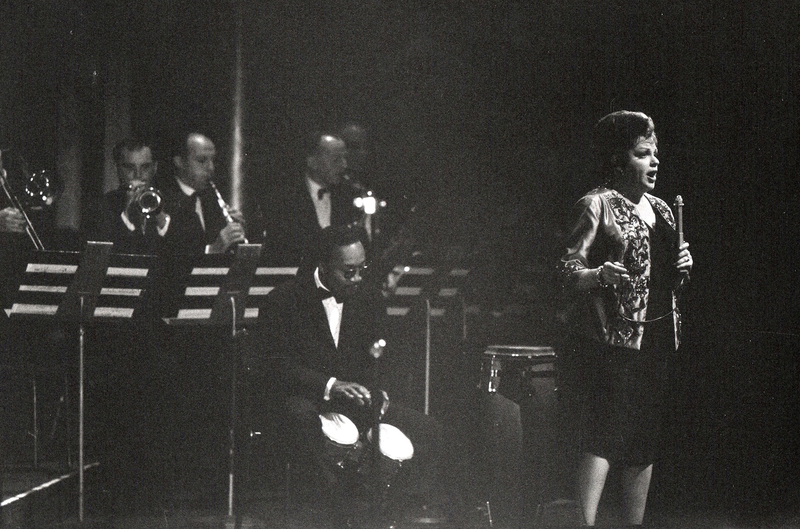 According to assistant director Earl Bellamy, Judy would give her all, then rest for 15 minutes, then do it all over again. Every take was brilliant. No takes from this day are known to exist. 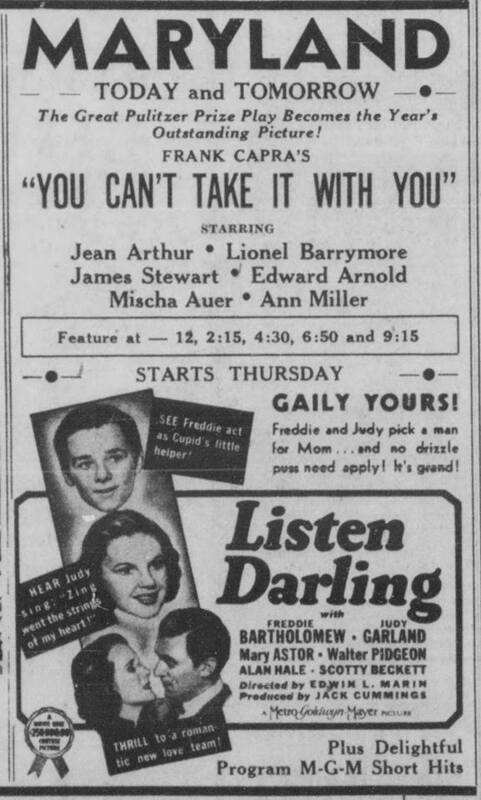 October 28, 1954: An ad for Judy’s recent soundtrack album, A Star Is Born. 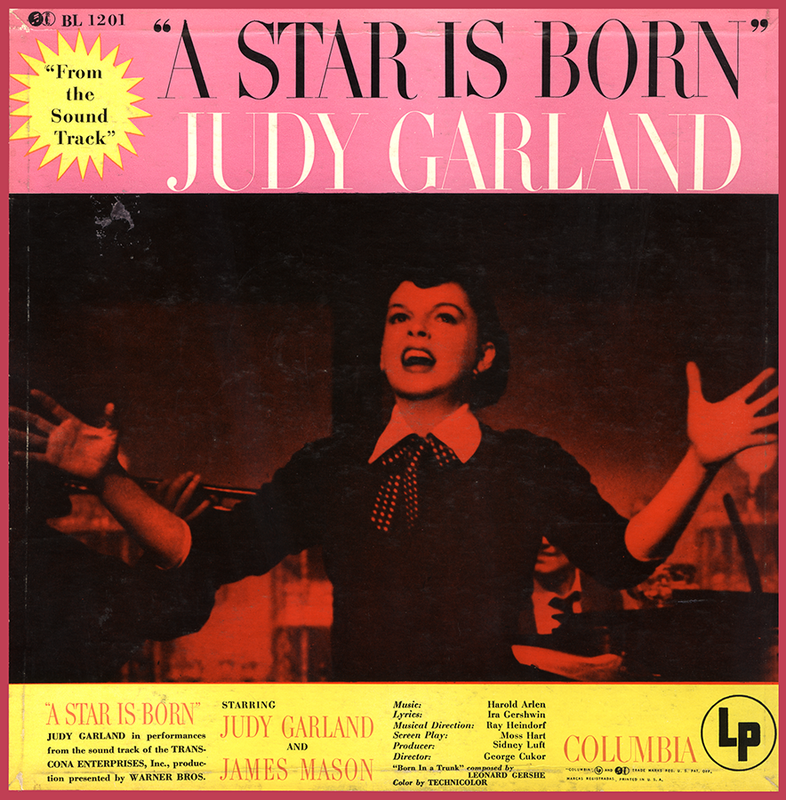 Check out The Judy Garland Online Discography’s A Star Is Born pages for details about the various releases of the soundtrack. 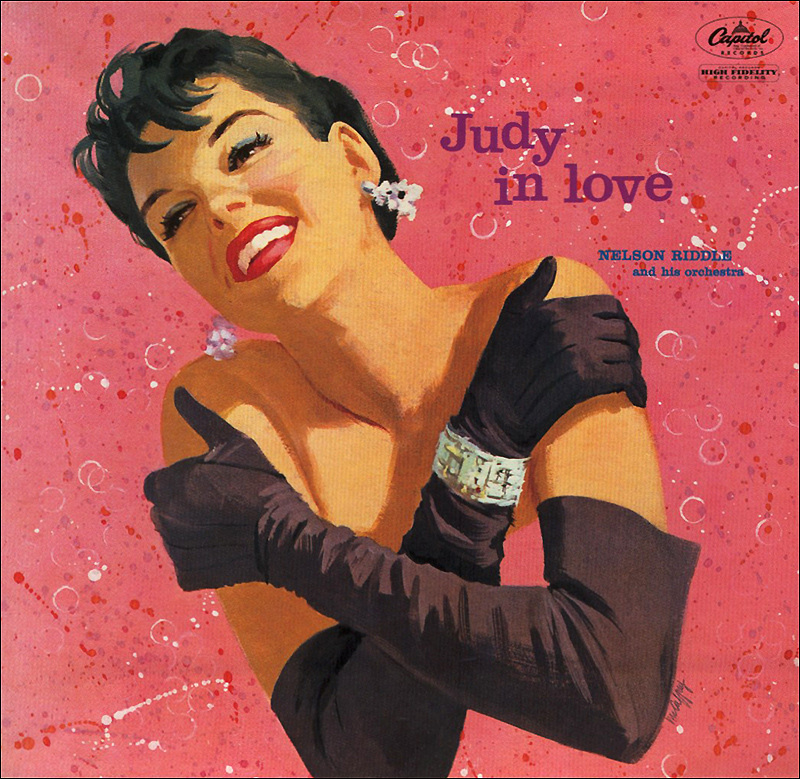 Check out The Judy Garland Online Discography’s “Judy in Love” pages for details about the various releases of the album. 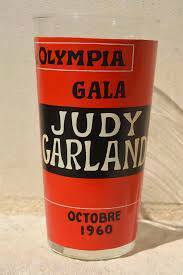 October 28, 1960: Judy brought her new one-woman show to the Olympia Theater in Paris, France for two nights. 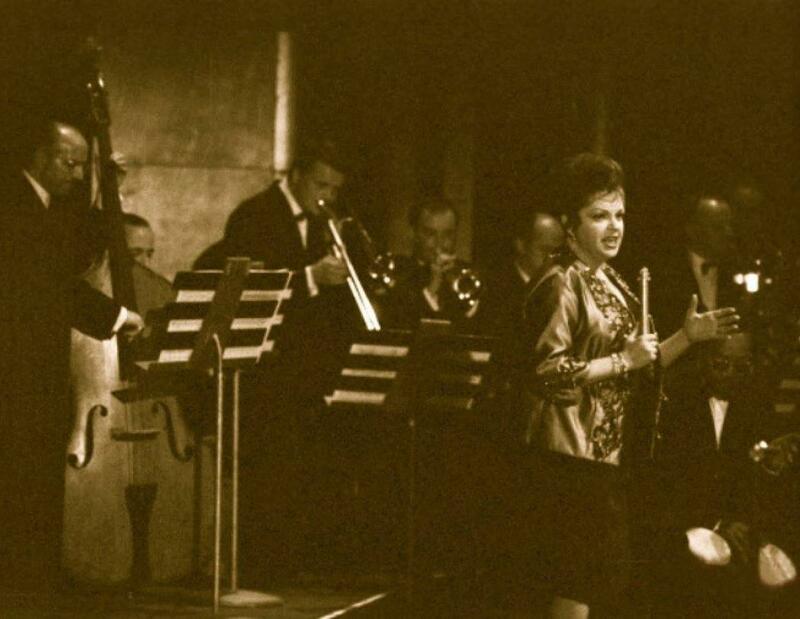 This night’s concert was recorded and broadcast by the radio station “Europe 1” on November 3, 1960. October 28, 1961: January Jones (not to be confused with the recent actress of “Mad Men” fame) is a retired popular nightclub singer who made a few of what we now call music videos. 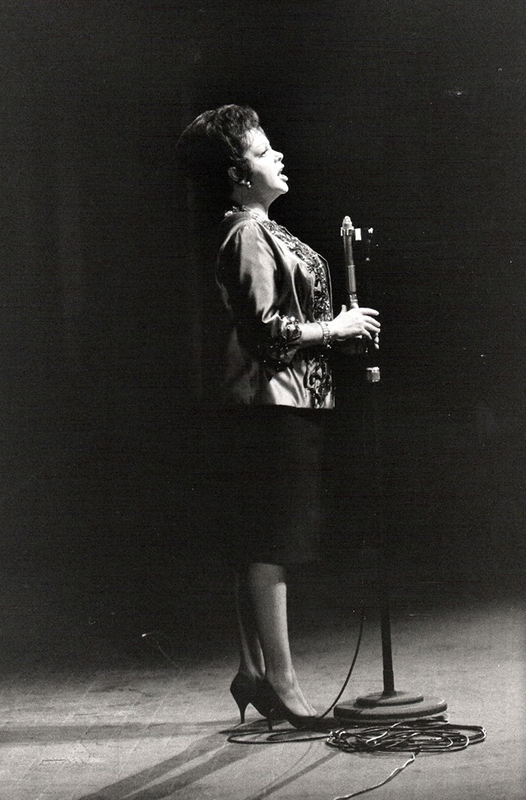 She sang impersonations, or at least “the sounds of” of Judy, Peggy Lee, Patti Page, and Ella Fitzgerald. Below is one of her videos. She was quite the looker! 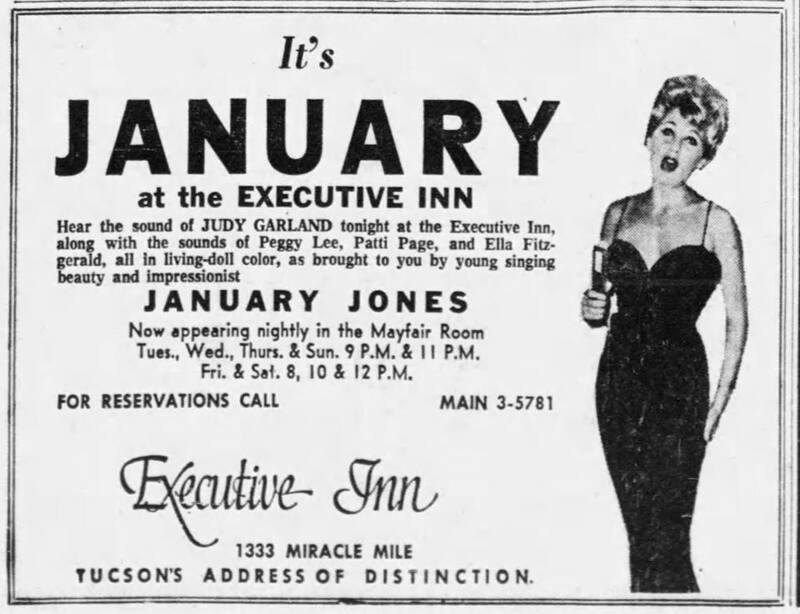 October 28, 1961: This notice appeared, noting Judy’s return to the recording studio to produce her first single in years. 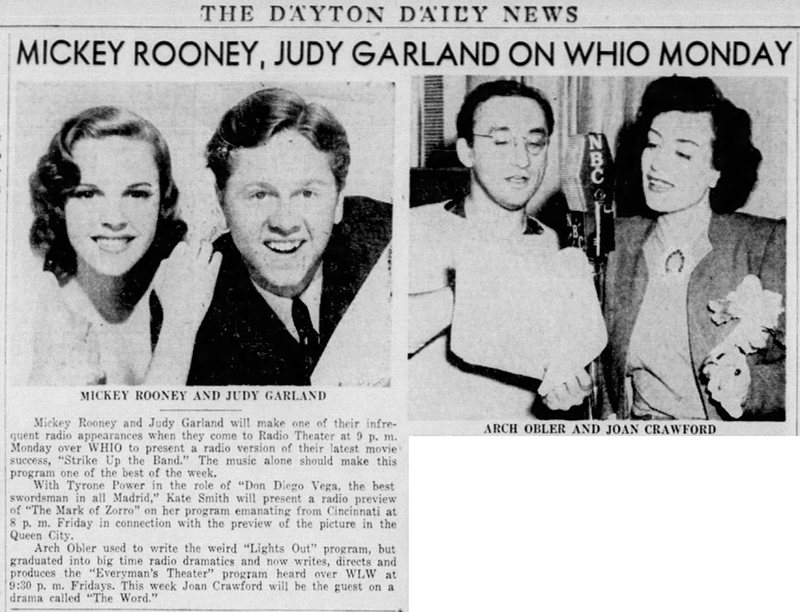 It’s interesting that the article makes it sound as though Judy hadn’t made the single yet, but she did on October 13, 1961. 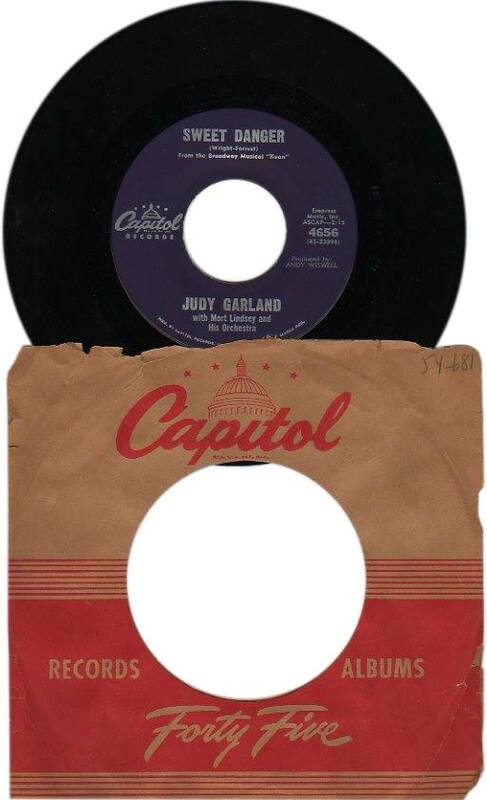 The success of the Carnegie Hall album prompted Capitol Records to have Judy go into their New York studios (she was currently touring the east coast), and record two singles for release as a “45.” The two songs Judy recorded were “Comes Once In A Lifetime” and “Sweet Danger.” The brilliant Mort Lindsey was the arranger and conducted the session. 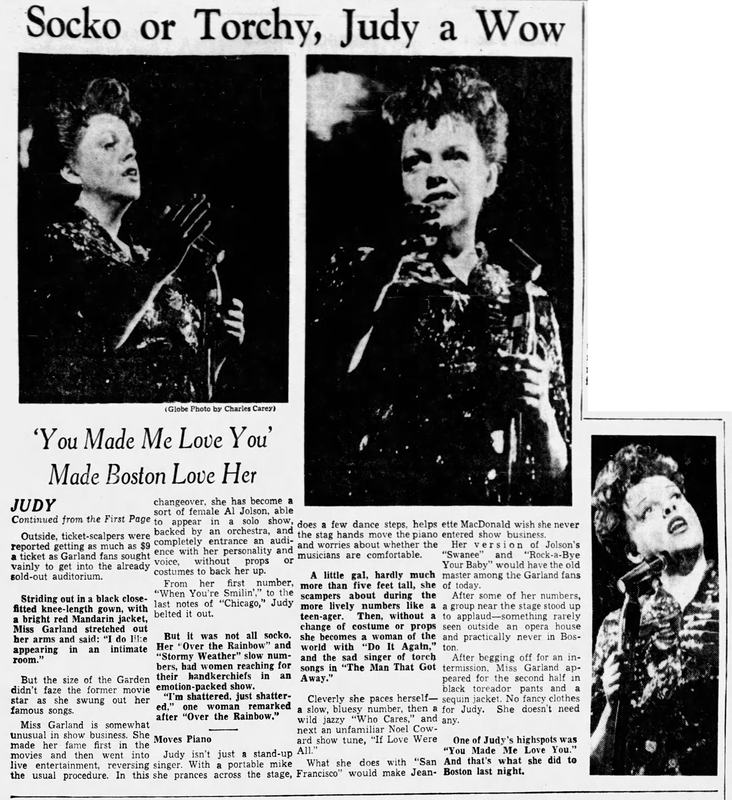 October 28, 1961: The Boston Globe published this review of Judy’s concert the previous night at The Boston Garden in Boston, Massachusetts. 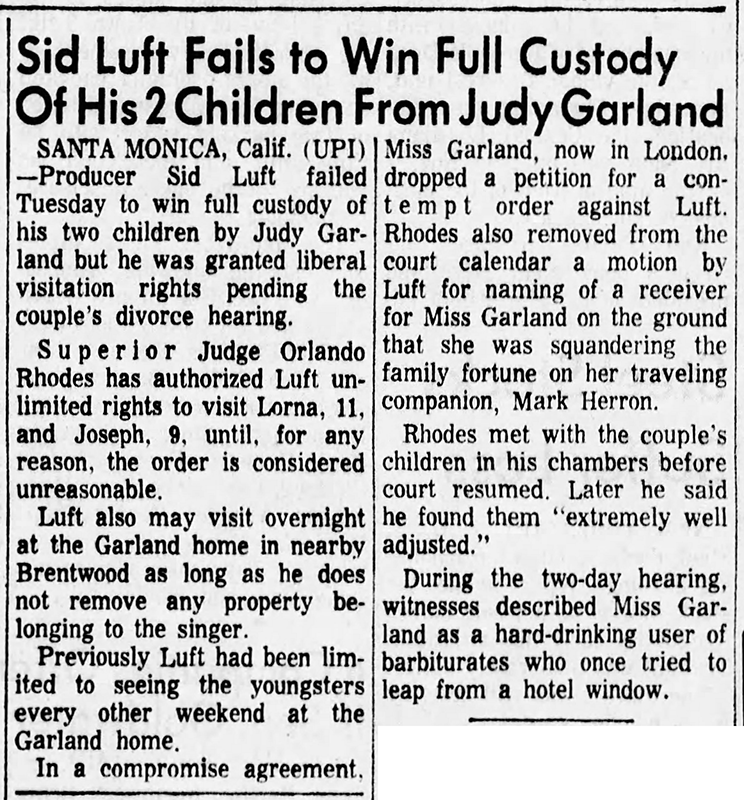 October 28, 1964: Sid Luft’s attempt to gain full custody of his children with Judy, Lorna & Joe Luft, failed but he did get unlimited visitation rights. 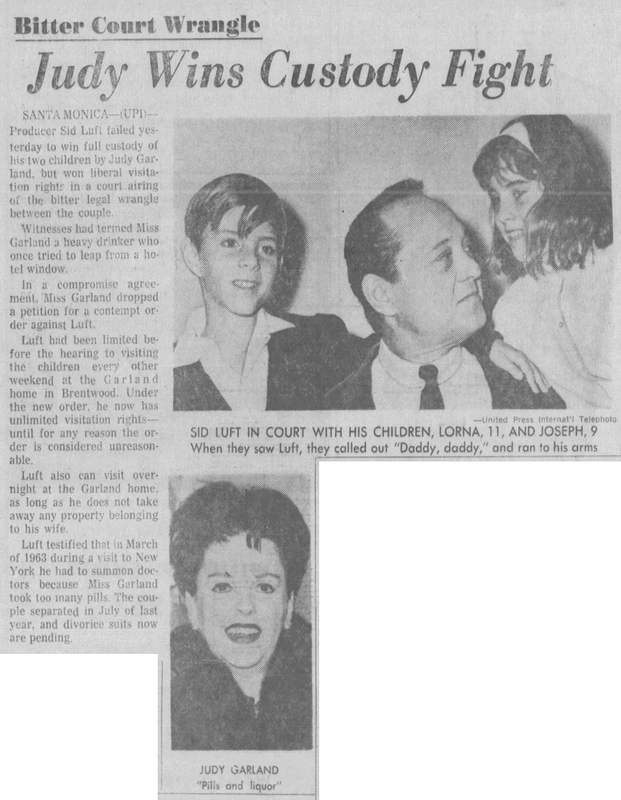 The case was heard in Santa Monica, California, with Sid, Lorna, and Joe appearing in the court on October 27th. 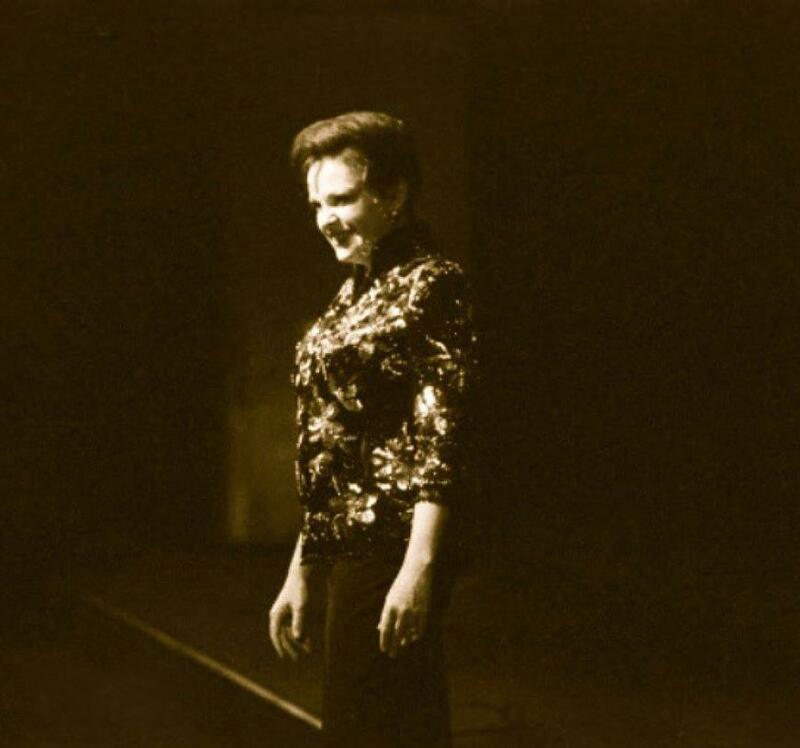 Judy was in London and on this night (October 28) she attended the second performance of “Giselle” at the Covent Garden. 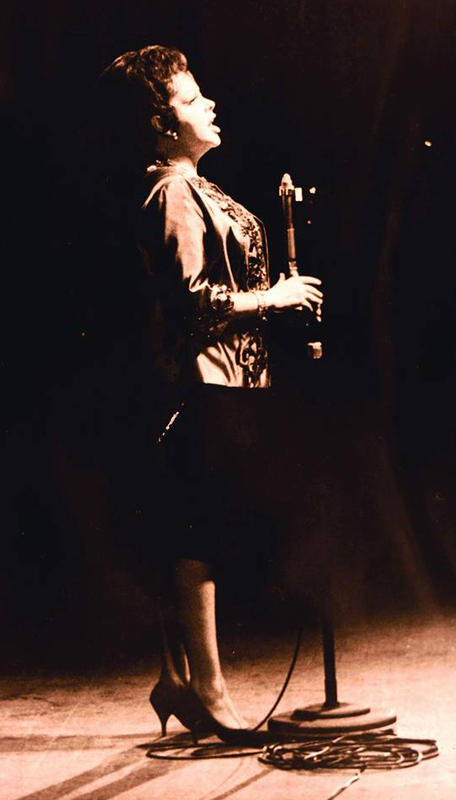 October 28, 1968: Judy sang a few numbers at Jilly’s nightclub in New York City, with John Meyer, in the early morning hours. 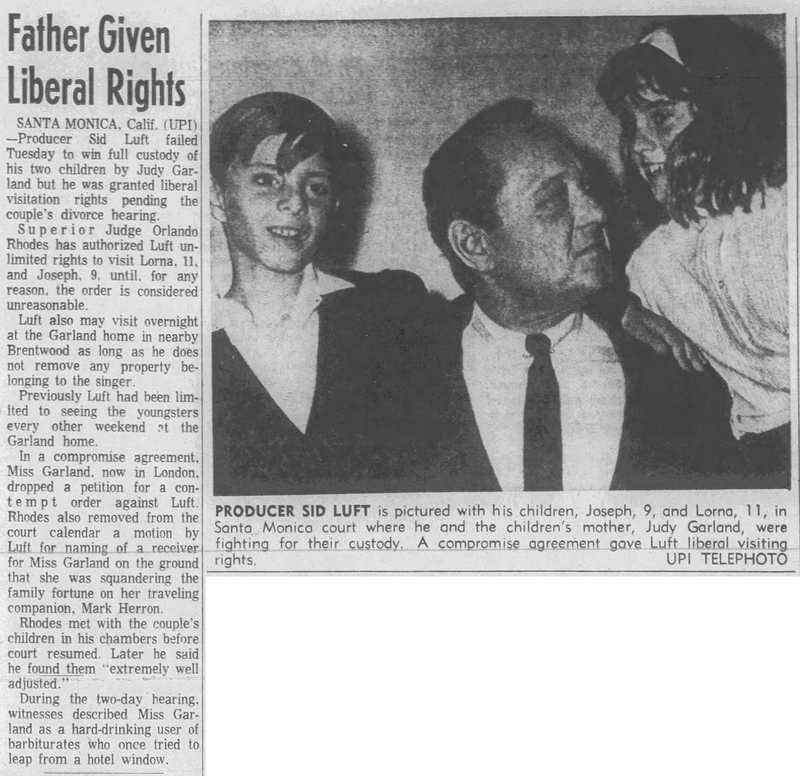 Then, on their way to go dancing, around 4 a.m., Meyer proposed marriage to Judy, and she accepted. 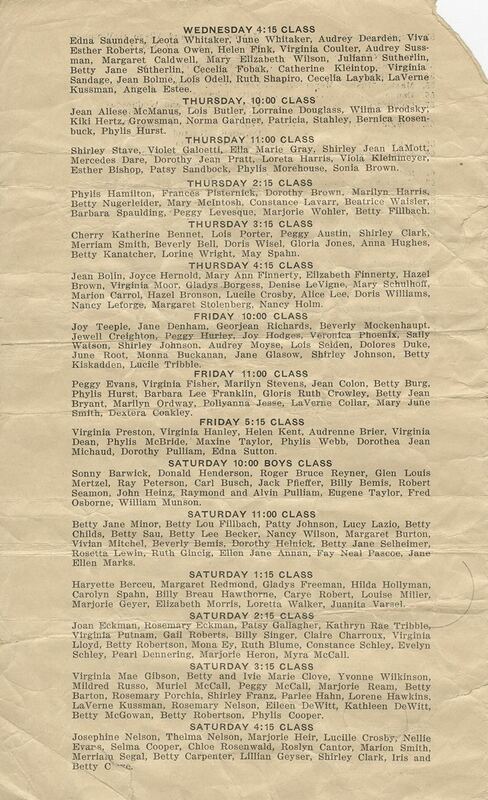 There are no known photos or recordings of this event. 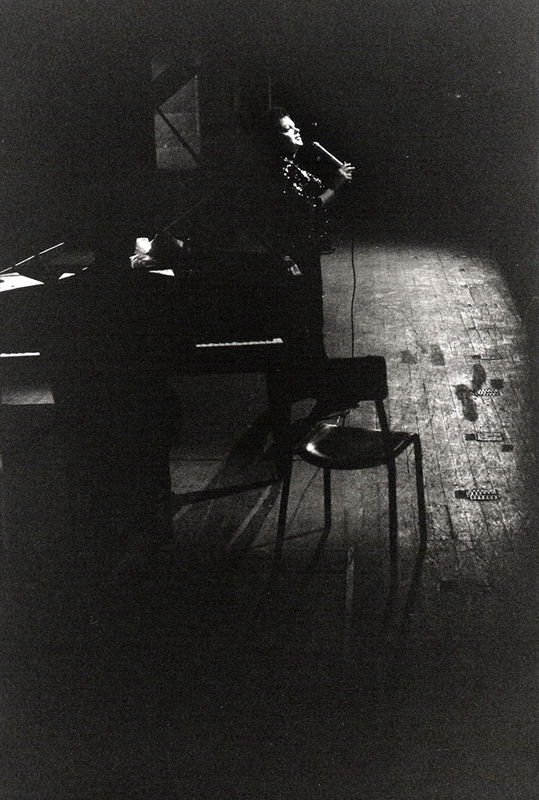 The photo above was taken in Philadelphia in July, 1968.